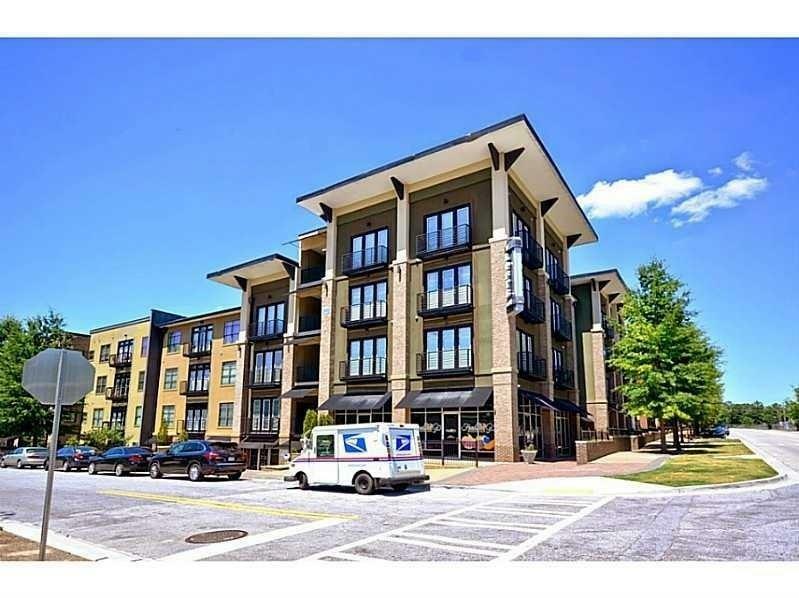 FANTASTIC LOFT, 2 BR CLAIRMONT FLOOR PLAN, ON TOP (4TH) FLOOR! KITCHEN WITH GRANITE COUNTERTOPS & STAINLESS STEEL APPLIANCES, REFRIGERATOR, WASHER & DRYER TO REMAIN. FABULOUS AMENITIES CONSIST OF: POOL, COVERED PARKING, MODERN FITNESS CENTER, ROOFTOP DECK WITH TENNIS COURTS, CAFE WITH BILLIARDS TABLE, 3 LUCH INTERIOR COURTYARDS WITH WATER FEATURES, ONSITE MANAGEMENT COMPANY. ACROSS THE STREET FROM MARTA. 2 ASSIGNED PARKING SPACES (1 COVERED, 1 UNCOVERED).